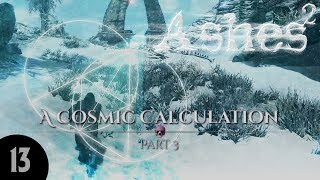 ASHES is a CouchWarrior "New Media" Story Experience. Equal parts movie, audio drama and community project, ASHES will entertain you in new and thrilling ways while drawing you into the community discussions along the way. 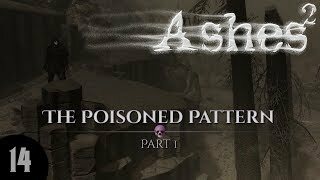 ASHES is two stories in one! Each tale follows the adventures of a different protagonist with frequent story cross overs that weave the threads of each narrative into single engaging story. 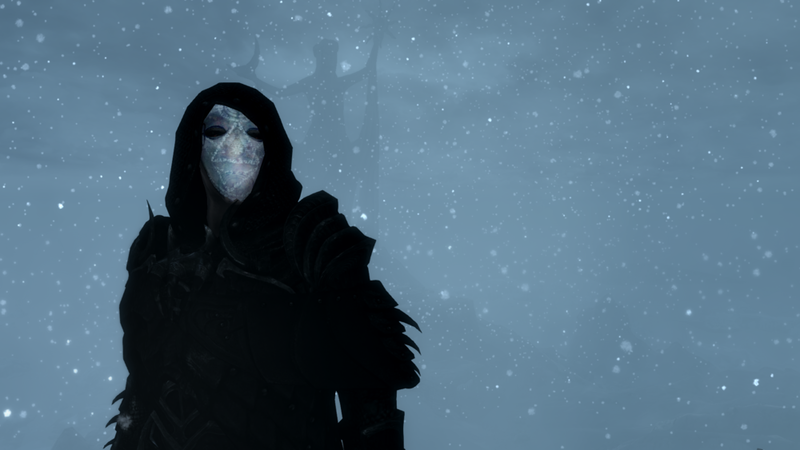 The Shadeling story line or "ASHES2" is Patreon exclusive content for the first five weeks after publishing. This is intended as a reward for those who have elected to support CouchWarriorTV by making a monthly pledge. To get access to the content simply pledge a dollar or more to the campaign and you will receive weekly emails with private links to the ASHES2 videos! 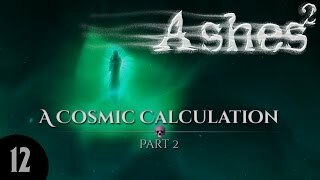 How much do I have to donate to get access to ASHES2? $1 or more is all that is required for access to the content! How will I get access to the videos? Each week a message will be send from Patreon with a private link to the most recent video. As a Patreon supporter you also have access to a Patron Only text channel on our discord server! Links to all the videos are pinned there along with other news and resources related to the story! How do I find your Patreon Page? Go to http://patreon.charactercrusade.com and sign up! What does CWTV use the donations for? Making more and better content! How do I know what order to watch these in? The Master Timeline below will show you the correct viewing order as well as which videos have been completed and published. "As the world descends into chaos a pair of uncommon heroes emerge from the ashes to restore the fraying pattern of life to the land and her people. Driven to obsession and from everything they have ever known, an aging researcher and his enigmatic magical creation struggle against nature, evil and Atherius itself in a last effort to save the civilization that has rejected them both." Fallout 4: Saint Billy - "Harpooned"
Fallout 4: Saint Billy - "The Underground"
ASHES GEAR AND OTHER STUFF! Interested in some ASHES gear? Check out the official great of the League of Prodigious Illumination. Taken straight from the story the LPI is Marl's prestigious research group investigating the mysterious threat of the Lorkhon Particles. Get some gear and join the team! ASHES is the story of eccentric researcher Marlevour Quinlett and his motley band of misfits. Marl is a brilliant Telvanni academic who has spent most of his long life researching the effects of magically charged volcanic ash as it erupts into the atmosphere from the depths of Red Mountain. 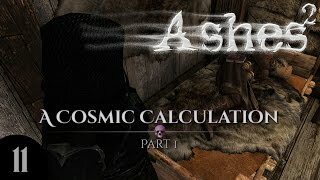 Convinced that ash is responsible for the chaotic state of the world, Marl has taken extreme steps to prove his theories and, as a result, finds himself cast out of House Telvanni in his twilight years. How can a an old man who has spent a lifetime in laboratories and libraries hope to survive in a land of violence and adventure? Will Marl be able to prove his theories? Will he finally be vindicated? 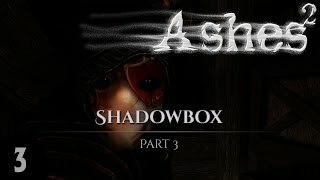 ASHES2 is the story of the enigmatic and mysterious creature known only as the Shadeling. With an origin wrapped in shadow and an inexplicable connection to Marl, Shadeling is more creature than man. Powerful beyond imagining with an almost alien intellect, Shadeling is on a quest to recapture his humanity and understand his place in the world while his deep links to Atherius draws him into a dark and sinister conspiracy engineered by the Ideal Masters. Will the Shadeling discover the secret of his mysterious origin? Will he be corrupted by his ever growing power? How can a man who has lost his humanity hope to save it? Marl's brave and faithful man servant, Mr. Wak is an outcast Riekling who's undying loyalty to the eccentric mage is an inspiration and yet unexplained. A sword for hire working for Marl, Mr. Sero is equally parts capable warrior and insufferable whiner. Faithful steed and stalwart companion, when duty calls Folly pulls the Adventure Wagon to parts unknown. The Master Timeline is a tool designed to guide you through the ASHES story. Below is the recommended viewing order for each video in the series so far. The timeline is updated on a weekly basis and is the definitive source for information on viewing order. The timeline has been constructed to that you can watch the videos in the order that events happen. It may look confusing but trust me...this is the correct order! Start at the top and work your way down to the bottom. 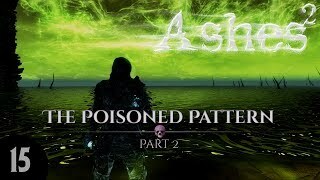 NOTE: If you are not a Patreon supporter there are episodes of the ASHES2 that you will not be able to see until weeks after they are published.